Has antimicrobial & wound healing properties. 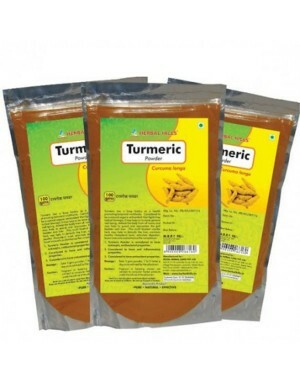 Ingredients of Haldi extract, Haldi powder. Exhibits antioxidant activity and supports the body’s natural response to oxidative stress has anti-bacterial properties. It supports healthy respiratory and immune system has carminative properties antiseptic properties. This product is not intended to diagnose, treat, cure or prevent any disease.